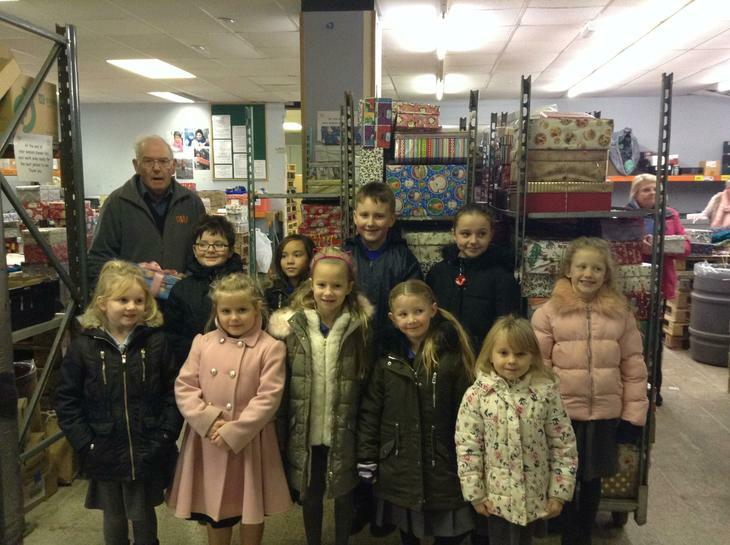 On Tuesday 20th November Mrs Meek, Miss Longman and Mrs Evans took 10 children to the T4U Warehouse on Davies Road. 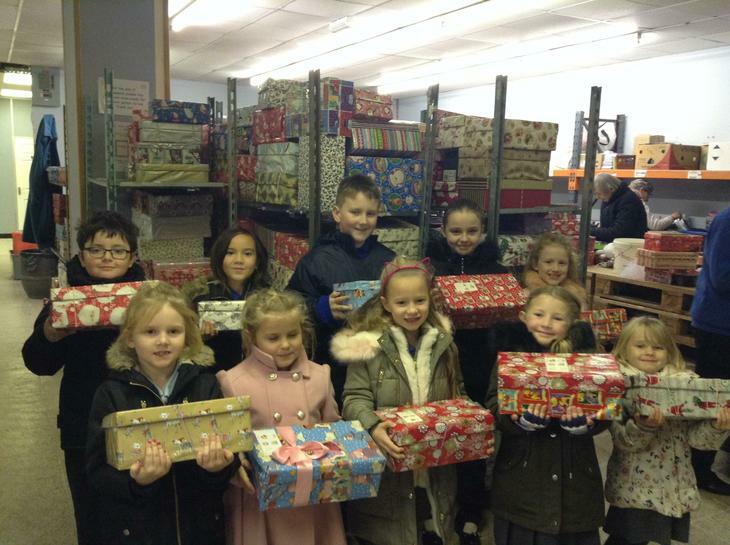 This year boxes will be going out to Eastern Romania. Our school boxes are going in the second drop to the town of Sulina on the Delta, the only way there from mainland is by boat which takes 4 hours. In Sulina there are about 300 children who will receive one of our boxes. 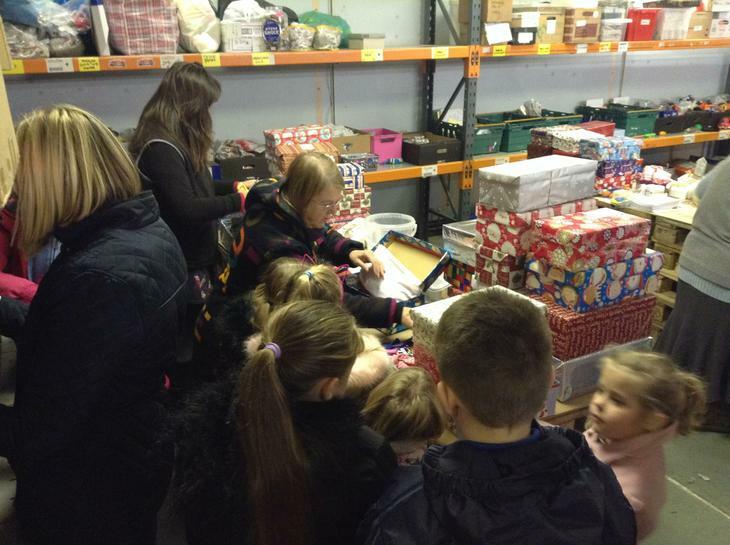 The visit to the warehouse was incredibly humbling and a fantastic experience for all. There are lots of volunteers working tirelessly to check EVERY SINGLE shoebox to ensure the right things are inside and then they are carefully placed in large boxes ready for transporting. If you can visit the warehouse then please do before the 30th November, or pop and along and help!